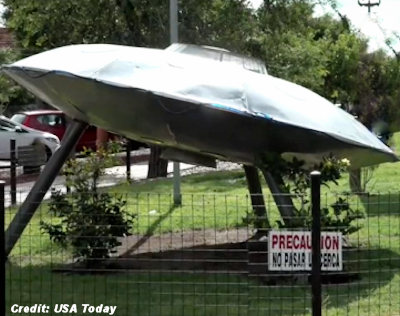 CAPILLA DEL MONTE, Argentina — Residents in this town are positive intelligent aliens from another galaxy are living among them. So positive, the town of 16,000 holds an annual Alien Festival that draws tens of thousands of visitors — from Earth, that is. This year's event kicked off Friday and runs through Feb. 14, Valentine's Day for those in love with extraterrestrials. There is an alien costume contest, a parade of Star Wars characters, a laser contest and special effects simulating aliens’ arrival on Earth. There are workshops with regional speakers renowned in the UFO community on how aliens contact humankind​, among other topics.